[Travel Agency] hits the road in quest of Korea's hidden gem spots. Edho, a cute jokester from Indonesia. Jeollabuk-do Province, a region brimming with history and traditional culture. The two are off to uncover hidden appeals unique to Jeollabuk-do Province where present meets past. Gyeongam-dong Railroad Village hits the spot with Edho who loves taking pictures. The place keeps intact what it used to look like when trains were still running, and will certainly make you nostalgic. Wherever their feet take them turns out to be a terrific photo spot. 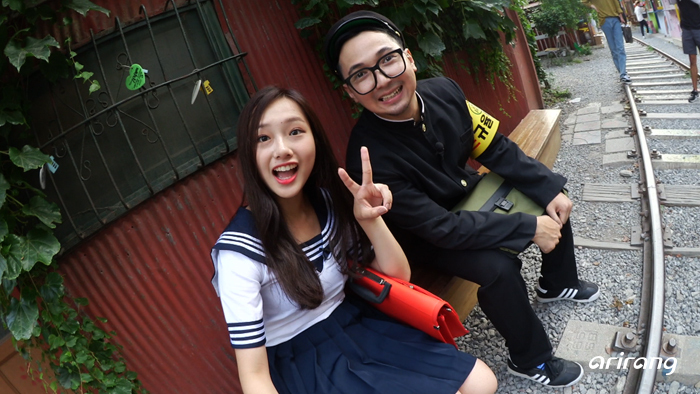 Kriesha and Edho lose track of time while frantically taking pictures. Are you curious of the pictures the two took at Gyeongam-dong Railroad Village? Find out on [Travel Agency] at 10:30 am on Thursday, September 13th.